I have taken up a new hobby in Mindfulness Colouring. Mindfulness colouring is like meditation, sort of. While you colour, you focus only on what you are doing there and then and cease to think about the future or anything else. Which is great because most of stress is a result of my brain being a time-traveller. 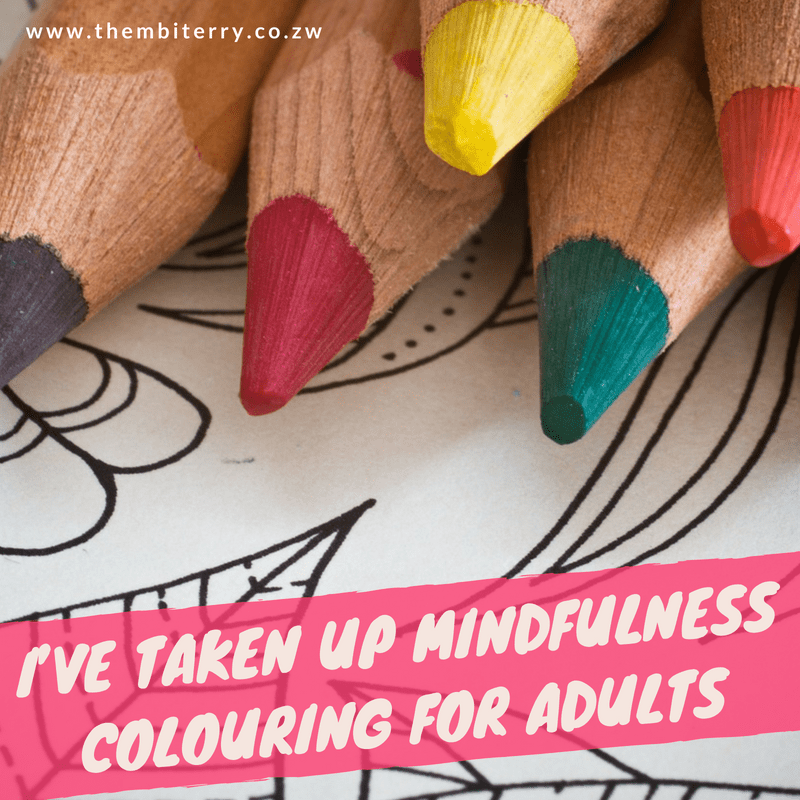 Why did you settle on Mindfulness Colouring as a hobby? I needed an artistic and inexpensive outlet for my stress. I have always loved art but I haven’t carried a paintbrush since A Level. The prices for art equipment are out of my reach for now cause of other pressing financial engagements. I stumbled upon Mindfulness Colouring while I was minding my own business on the internet. I started reading up on it and I needed the benefits that come along with it. I downloaded a couple of free Mindfulness Coloring book pages online and had them printed. It costs like 10 cents for 4 pages since they are in black and white. There were colouring books available for download online but picking out pages gave me more control according to my preferences. I like patterns, butterflies and all those whimsical things so that’s what my colouring book looks like. There are also apps available for download on the Google Play store. Search for Mindfulness Colouring or Adult Colouring Books. Some of the apps are for sale but the free ones are also quite decent. Colouring on my phone or in the book feels the same to me. Just that one takes longer and the other depletes my battery. I have experienced relief after a colouring session. When I am stressed I feel a tightness in the back of my head and after colouring in it feels less tight. I watched a video by one of my favourite YouTubers Anna Akana where she talks about how we all need a play thing. A play thing is a senseless hobby that has no point to it. This is especially important for creatives. She says that it isn’t enough that I use my creativity at work. I need to also use my creativity for something that has no end game. Mindfulness Colouring is something that I now spend hours working on and it serves no real purpose. Is Mindfulness Colouring something that you are willing to try?